We buy processors (from any device) and pay you for the precious metals (such as gold, platinum, silver, and palladium) found inside them. See what other computer scrap has value and what we buy. The processor (CPU: Central Processing Unit) is the brain of the PC. It contains millions to billions of microscopic transistors and a few hundred gold plated pins. Processors are one of the most value dense portions of the PC. 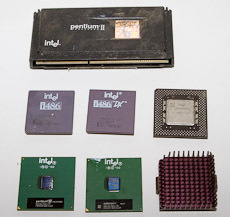 Older processors are generally larger and have more generous gold plating than more modern ones: 386/486 and Pentium chips are particularly valuable. Here are some more details about 486's. 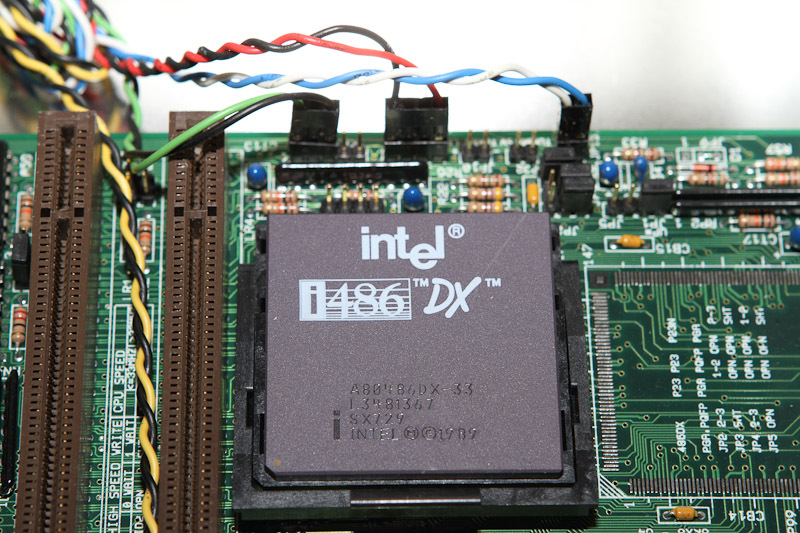 The processor is recognizable as a large rectangular or square chip that plugs directly into the motherboard. It is usually the largest single chip in the PC. 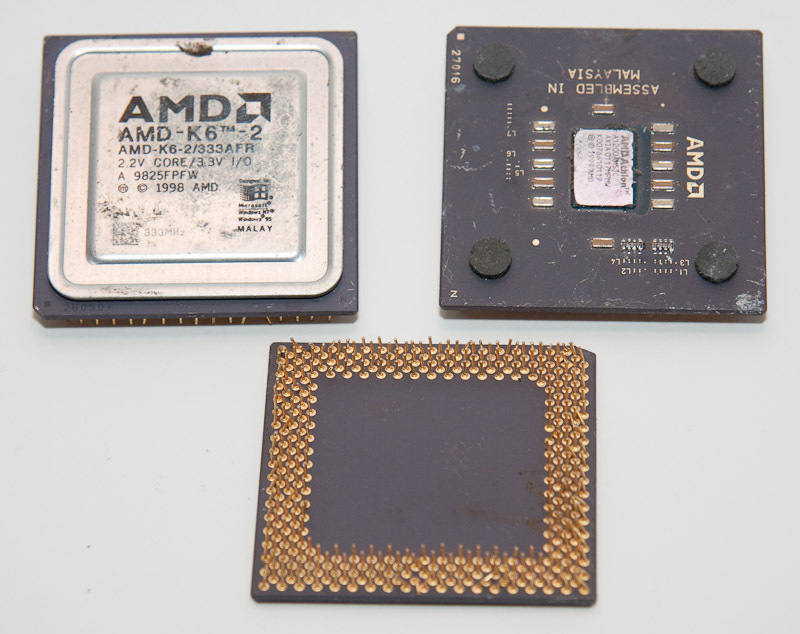 Intel and AMD are the largest PC processor manufacturers, however IBM, ARM, Motorola and others make them as well. The processor often has a heat sink attached to it which may also have a small fan. Heat sinks are typically aluminum, which has little scrap value. Processors are also found in video cards (there they are called GPUs: Graphics Processing Units), in cellphones, iPods and iPads, and most other electronic devices. Generally only computer processors are large enough and detactable enough to merit separating them. The value of the processor varies greatly depending on the model. 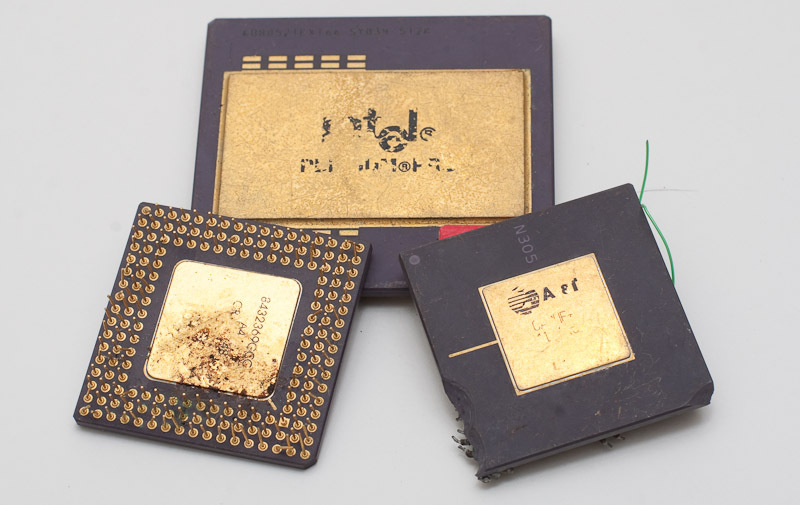 As mentioned above, older processors generally have more precious metal content. To get started, please contact us, or send us details about your processors for a price estimate and shipping arrangments. There are minimum shipping quantities for processors to ensure your profitability (5 lbs). 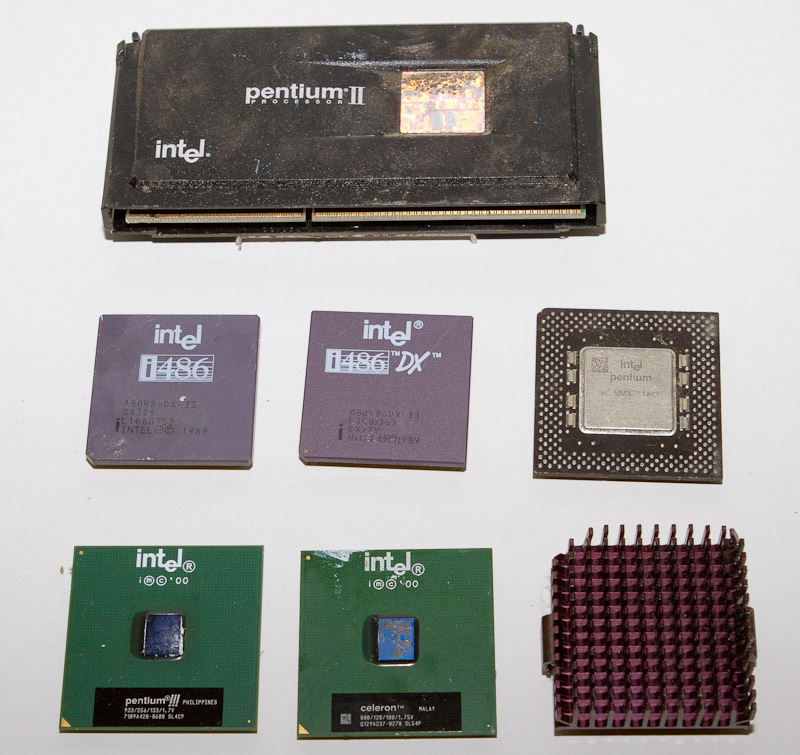 Several generations of Intel Processors. 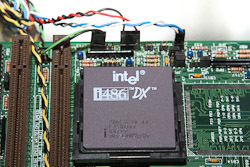 Top: Processor+daughterboard module from a Pentium 2. 2nd Row from Top: two 486 processors and a (slightly) newer Pentium. Notice the transition from ceramic to PCB base. 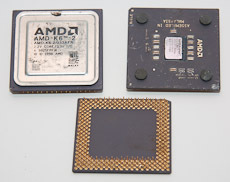 Bottom Row: Pentium 3, Celeron and Pentium 3 with Heatsink attached.